We visited our little granddaughter for the first time last week. 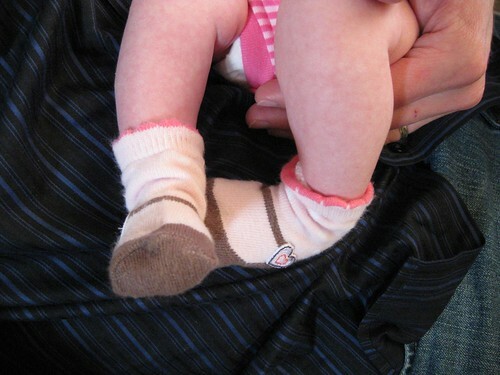 Here are her little feet in her Mary Jane socks. Is that the only picture you took???? HER FEET ! ! ! ! Cute socks though. She’s absolutely adorable. Takes you back to holding your own, doesn’t it?